These are just a few reasons why our customers continue to purchase Berdick brand Windows and Doors. We invite you to experience why we have been so successful supplying new construction and renovation projects. Since 1973 Berdick Windows and Doors has developed a reputation for manufacturing one of the best all-vinyl windows in the industry. We can help you whether you are building a new home, planning a renovation, or just a single window replacement. “Berdick Windows and Doors supplied all of the windows and exterior doors for our new home. We found the sales staff very helpful and knowledgeable about the products that are available. The low-e argon windows and exterior doors that we selected are an excellent value for the dollar. We are really happy with the looks of the windows and doors and would recommend Berdick Windows and Doors to anyone that is looking for a good product for a reasonable price”. 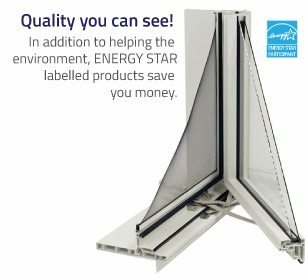 Check out our lines of Energy Star rated vinyl windows, available in many popular dimensions and configurations. Whether it is a wooden, steel or fiberglass door that you are looking for, Berdick has a vast selection to choose from. Skylights, Sun Tubes, Roof Access Hatches, and Blinds. Berdick offers Columbia’s comprehensive collection of skylights & accessories.